After the Deadline (AtD) doesn’t just flag and give suggestions for your spelling, grammar, and style. It also concisely explains the reasons behind the corrections given. That means that the longer you use AtD, the better a blogger you become! Use statistics to find exceptions to grammar rules. AtD is available as a plugin, add-on, or extension for platforms like WordPress, bbPress, Firefox, Google Chrome, OpenOffice.org Writer, and the IntenseDebate comment system. Like AtD, ProWritingAid not only tells you what to improve, but also how to improve. It has the ability to generate a detailed analysis on overused words, sentence length, writing style, plagiarism, clichés, redundancies, “sticky” sentences, consistency, and the like. Although you need to download the Premium version to enjoy all of its features, ProWritingAid’s free version is enough for most types of blog posts. Don’t let the site’s inelegant design fool you. 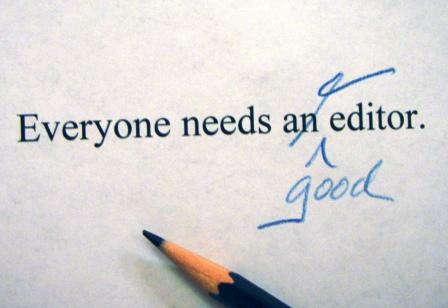 EditMinion takes only a few seconds to check your work for the usual signs of weak writing, like adverbs, overuse of “said”, passive voice, ending with prepositions, tricky homonyms and more. EditMinion generates a report card for your reference, and allows you to add “hashtags” for easier editing. As of this writing, though, the site is still in Beta stage, so use it with care! Ever wish you had Hemingway’s terse yet punchy writing style? Well, your wish can come true now, thanks to the brilliant minds behind HemingwayApp. Here, your copy will be assessed based on readability, number of adverbs, number of complex words, and number of times you use the passive voice. The app also detects spelling errors, although it’s not much help in the grammar department. In case you need to use it offline, a desktop version of the app is also available for $5. Whether you want to check for keyword frequency, or you just have a tendency to be repetitive with words, WordCounter.com is the answer. As its name suggests, WordCounter counts and ranks words according to frequency. The apps is great for reducing redundancy and/or repetitive writing in your copy. You can also include “small” words, use only root words, and adjust the number of words listed by the app. You can use this primarily as an analysis tool, checking your drafts as you keep honing them to perfection. Do cliches drive you crazy? If “Yes”, ClicheFinder might be a godsend for you. Just paste your post in the space provided, click the “Find Clichés” button, and presto! Every cringe-worthy phrase will be highlighted in red. You can either rewrite these phrases to make them sound simpler and fresher, or toss them into the back-burner like the blights on language that they are (har har)! Countless publishing professionals have learned the details of their business from this classic guide for publishers, editors and writers. It’s updated every 10 years or so, and the 15th edition is the most extensive revision in decades. The Internet’s influence is pervasive, with substantial sections on preparing manuscripts for electronic publishing, editing for online publications and citing electronic sources. The “Rights and Permissions” chapter is by attorney William S. Strong (The trace the publication process for books and journals, both print and electronic, from manuscript development to distribution and marketing. For the first time, the manual includes a chapter on grammar and usage, by Bryan A. Garner (A Dictionary of Modern Usage). Gone is the 13-page table showing when to hyphenate compound words of all sorts, but it’s replaced by a six-plus-page list and a narrative overview, which will be simpler for the overworked manuscript editor (“copyeditor” has vanished, and the index relegates “copyediting” to a cross-reference to manuscript editing) to use. Traditionalists may be bothered by the new edition’s preference for ZIP Code state abbreviations and dropping periods from such abbreviations as Ph.D. and even U.S. Some things do remain the same. 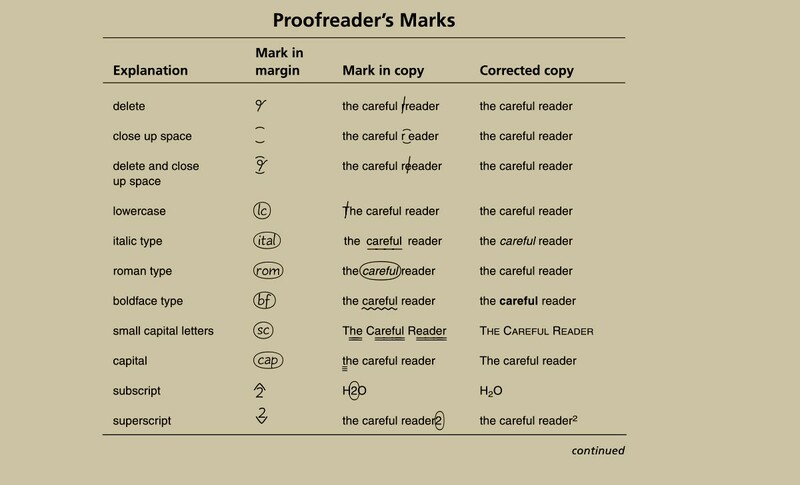 The style guide still endorses the serial comma (which PW does not) and numerals are still spelled out from one through one hundred and at the beginning of a sentence. Those in the publishing industry will need this edition, both for what’s new and for what they will want to argue about. In the 1890s, a proofreader at the University of Chicago Press prepared a single sheet of typographic fundamentals intended as a guide for the University community. That sheet grew into a pamphlet, and the pamphlet grew into a book–the first edition of the Manual of Style, published in 1906. 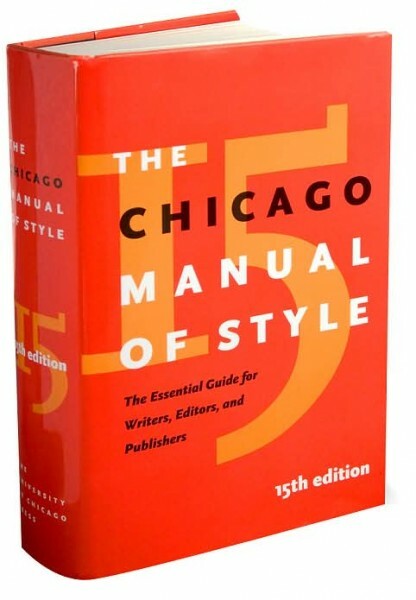 Now in its fifteenth edition, The Chicago Manual of Style–the essential reference for authors, editors, proofreaders, indexers, copywriters, designers, and publishers in any field–is more comprehensive and easier to use than ever before. Those who work with words know how dramatically publishing has changed in the past decade, with technology now informing and influencing every stage of the writing and publishing process. In creating the fifteenth edition of the Manual, Chicago’s renowned editorial staff drew on direct experience of these changes, as well as on the recommendations of the Manual’s first advisory board, composed of a distinguished group of scholars, authors, and professionals from a wide range of publishing and business environments. Every aspect of coverage has been examined and brought up to date–from publishing formats to editorial style and method, from documentation of electronic sources to book design and production, and everything in between. In addition to books, the Manual now also treats journals and electronic publications. All chapters are written for the electronic age, with advice on how to prepare and edit manuscripts online, handle copyright and permissions issues raised by technology, use new methods of preparing mathematical copy, and cite electronic and online sources. A new chapter covers American English grammar and usage, outlining the grammatical structure of English, showing how to put words and phrases together to achieve clarity, and identifying common errors. The two chapters on documentation have been reorganized and updated: the first now describes the two main systems preferred by Chicago, and the second discusses specific elements and subject matter, with examples of both systems. Coverage of design and manufacturing has been streamlined to reflect what writers and editors need to know about current procedures. And, to make it easier to search for information, each numbered paragraph throughout the Manual is now introduced by a descriptive heading. Clear, concise, and replete with commonsense advice, The Chicago Manual of Style, fifteenth edition, offers the wisdom of a hundred years of editorial practice while including a wealth of new topics and updated perspectives. For anyone who works with words, whether on a page or computer screen, this continues to be the one reference book you simply must have. * New, expanded Web site with special tools and features for Manual users. Sign up at http://www.chicagomanualofstyle.org for information and special discounts on future electronic Manual of Style products. The Chicago Manual of Style maintains its vitality by adapting to its ever-changing environment. None of the changes from one edition to the next are capricious; that which remains vital carries over, and that which must change, changes. 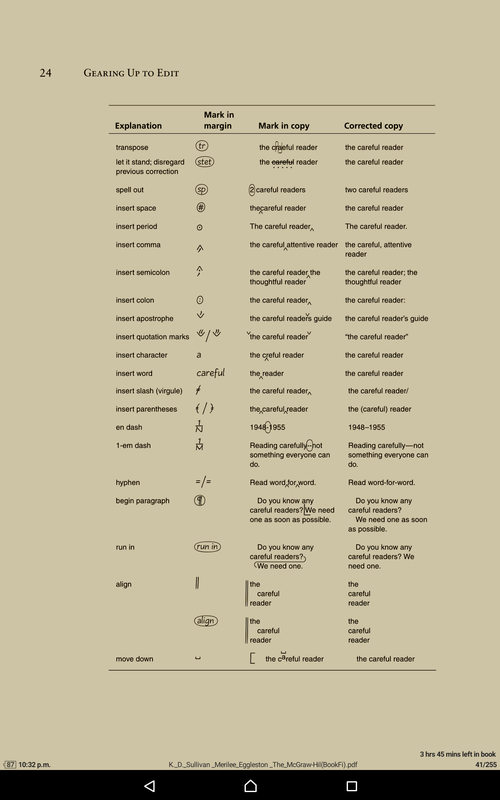 From the 1906 first edition’s limited focus as “a compilation of typographical rules” for books, it has evolved to provide guidance to authors and editors working in other forms and media such as journals, newsletters, Web sites, and even, with the fifteenth edition, American Sign Language. The editors now “assume throughout that most writers and editors, whether preparing print or nonprint works, use computer software.” That assumption is most visible in the chapter dealing with presentation in type of mathematical expressions and formulas. Software has collapsed the division of labor between author and typesetter, giving the author the power to fulfill both roles simultaneously. Mathematicians have faced that special challenge; all scholars have been vexed by uncertainty about citing electronic resources. Various specialized manuals from other publishers have attempted to codify practices for citing electronic publications, but none has enjoyed the authority Chicago has earned over nearly a century. The fifteenth offers deeper guidance for citing electronic books, articles in e-journals, electronic editions of older works, and online newspapers and magazines. The clear, practical, and easily applied rules for citing these sources recognize the problem an author must solve when a URL is subject to change; they also offer advice on matters such as when to provide the date a cited e-work was accessed. U.S. copyright law, driven by the same technologies the fifteenth edition addresses, has also experienced significant changes. An expanded section on copyright offers clear albeit not exhaustive coverage of the current complexities of copyright. All authors would do well to study this primer. Chicago’s mantra throughout is consistency in support of clarity. Helping authors and editors achieve consistency in practice when creating or editing a manuscript and presenting it to readers is Chicago’s raison d’etre. The prescriptive tone of some entries serves consistency, but usage is determined by users of the language. Chicago acknowledges variants in practice, often noting that an author may use a variant even though its entry first describes preferred practice. Bowing to popular influence, the editors concede that they “no longer urge deletion of the d in 2nd or the r in 3rd” and they “now recommend the month-day-year form of dates” prevalent in the U.S. The editors also have the wisdom and the experience to uphold rules that, if ignored, can create confusion in readers’ minds. All of the rules and recommendations are easily accessible through the thorough index, a hallmark of every recent edition. New to the fifteenth is a lively chapter on grammar and usage contributed by Bryan A. Garner, author of Garner’s Modern American Usage (2d ed., Oxford, 2003; formerly A Dictionary of Modern American Usage). Its first part reviews basic rules of English grammar, and the second offers succinct explanations of words easily misused (decimate, precondition) or confused (e.g., healthy and healthful; purposely and purposefully). Added features discuss bias-free language and prepositional idioms.